How I can get the values of Parameter Mapping in a human task using a taskClient? How to map the values of Result Mapping of a human task in a variables of the process? Hi, are you using BPMN2 processes? If you are using the new version you need to create the output and input mappings to each workitem/human task. which version of the eclipse plugin are you using? Yes, I'm using BPMN2 processes. The eclipse plugin version is 5.0.0.SNAPSHOT. I need to know how to obtain these parameters from java. Will this be done with the taskClient? How can I do it? Hello jBPM team~? Anyone? Is this even possible? How to obtain the parameters from Java? You need another year to solve this? Are you using the TaskClient? with that you can get the content of the task and get the parameters. Which alternatives did you try already? Or are you waiting here until someone respond? What errors are you getting? Can you give us more background about what are you trying to do? From this byte you can get the object which is a map of input parameters to the human task. I cannot use the Parameter Mapping in the Human Task and pass value to my Java program. I can use Content to pass value to my Java program. Thanks Arun for the sample code. Step 2: In the Human Task Parameter Mapping, map my variable to "Content". Step 3: [Optional] In the On Entry Action of the Human Task, I set the value of my POJO. You can do it any way you like. Question: is the kcontext.setVariable() necessary? Step 4: Compile and run our process. 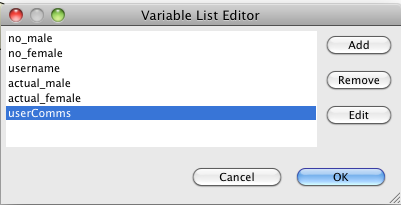 Step 5: Accessing your variable from the task's "Content"
And I got my POJO from the Content. i am getting an error on running the same example........................can u help me out on this? is same example working for u? i have solved this problem , your https://community.jboss.org/thread/200045 post helped me on this.....thanks!! but i still have one problem ... after completion of two user task it throws exception in Diverging getway.